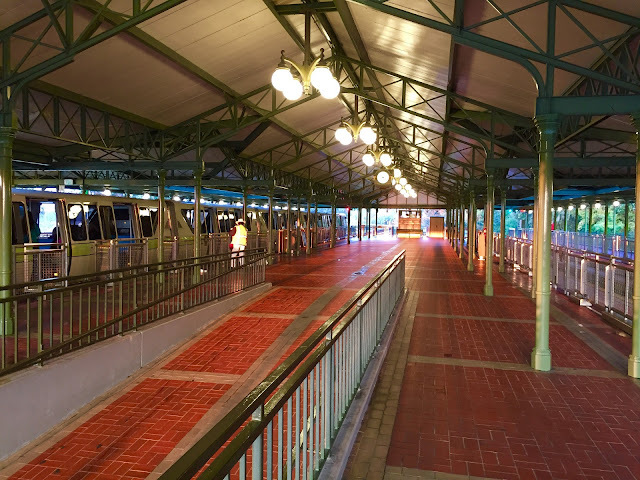 It is rare to see the Magic Kingdom monorail station empty. 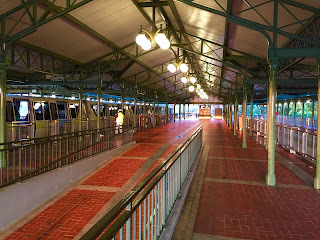 I arrived early this morning on the resort line, and there weren't many guests on that train. This platform sees tens of thousands of guests on a daily basis, and the monorail system has a daily ridership of approximately 150,000. So, it isn't common to see this area so quiet.